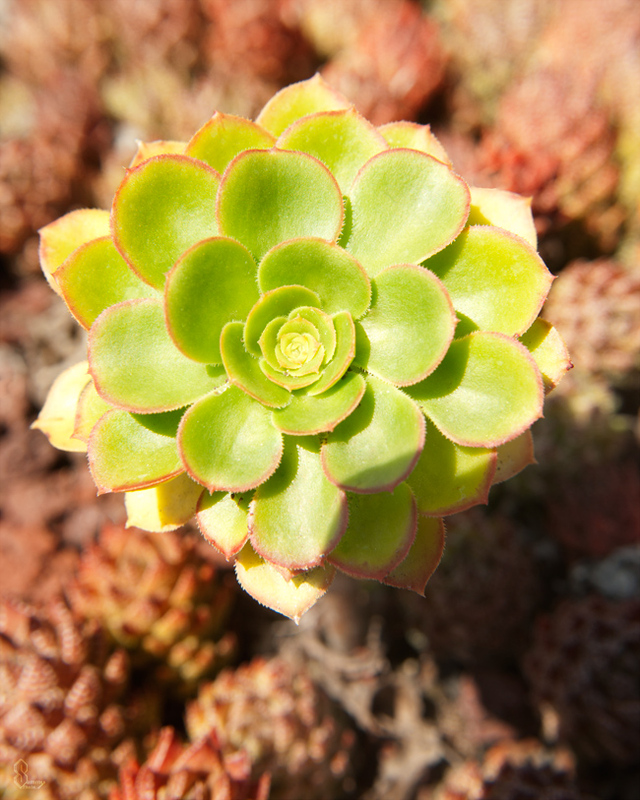 One of the best things about living in California is the amazing succulents growing all over. I wanted to take some macro photos of some super small succulents so I went to one of my favorite local gardens. This cobweb sempervirens is about the size of my thumb and grows in large clusters. 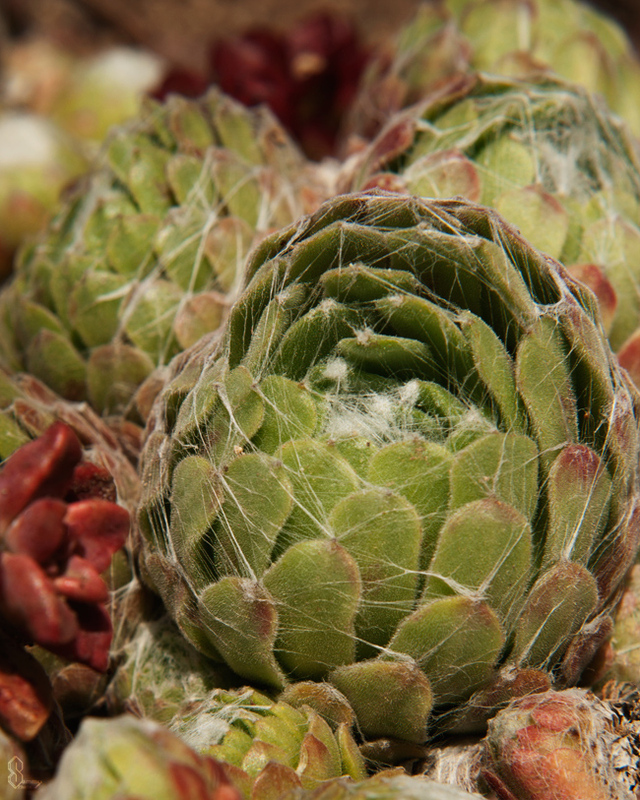 The cobweb on the outside of this succulent is interesting I have never seen anything like it. This succulent is a Senecio ‘Kilimanjaro’ and makes a wonderful house plant. I love the soft silver-gray green color of the leaves of this succulent. 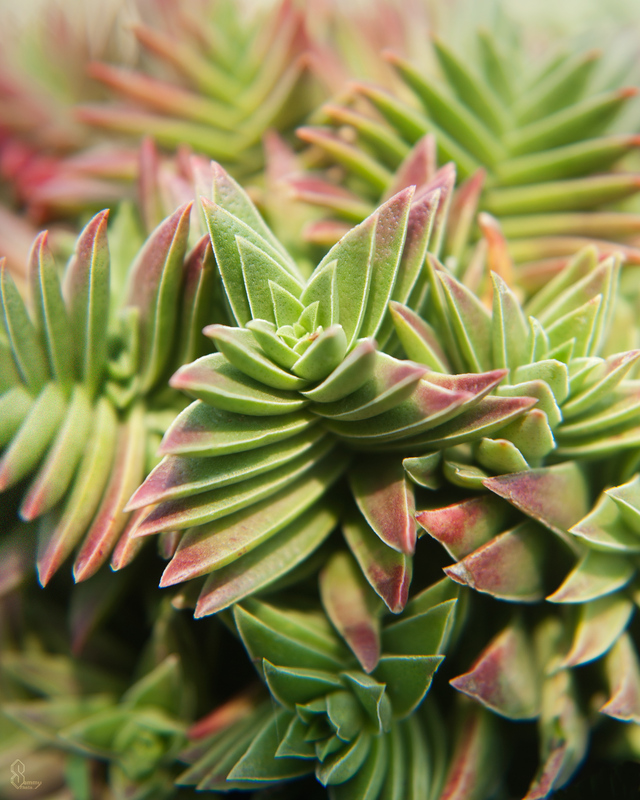 Aeonium is a genus of about 35 species of succulents that are my all time favorites. I love the bright green and red outline of this small tree houseleek succulent. 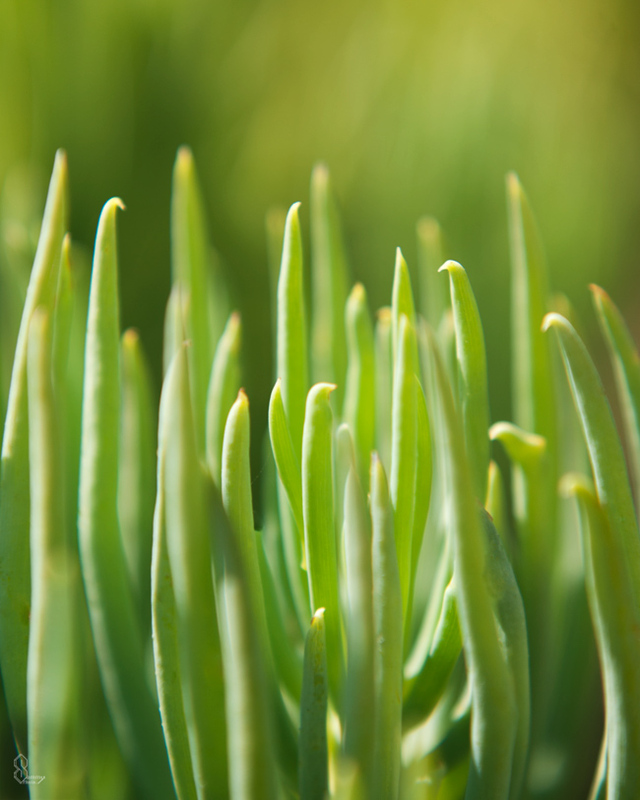 Crassula capitella is native to southern Africa and grows extremely well in southern California. This is one of the most wild shaped succulents I have ever seen with its propeller-like leaves. I hope you enjoy this group of succulents.